Hi, I bought this beautiful and modern dress in the Sample Sale at Jane Hill last year. 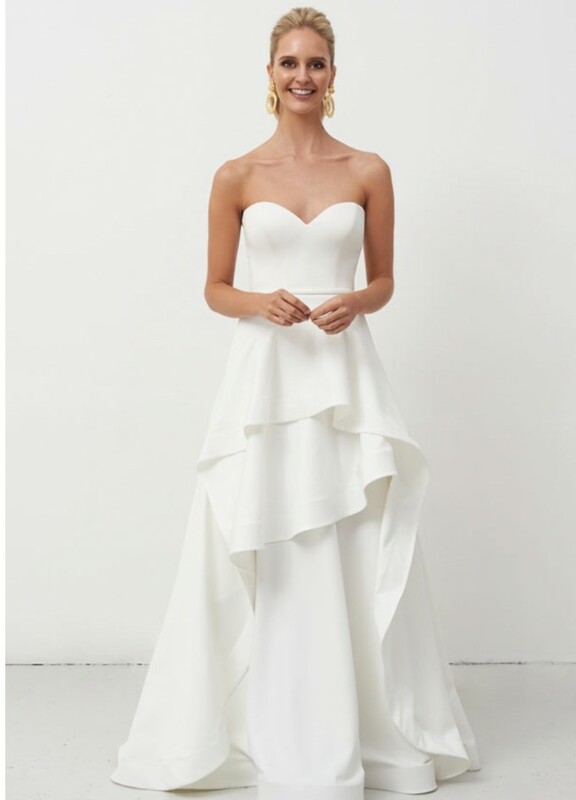 Dress has never been worn, I ended up buying another dress which I thought it was more suitable my wedding location. It fits a size 8 to 10. It is not a hard dress to make alterations if it needs to. Dress has been dry cleaned at Sandal’s Bridal dry cleaning in Armadale. Location of the dress South Yarra, pick up only. Once you send a message, Ana can invite you to purchase the dress.